a tall tree [building] 高い木[建物]. He's six feet tall [six inches taller than me]. 彼は身長が 6 フィートだ[私より 6 インチ高い]. I am taller than he is. Bamboo grows taller every day. “How tall are you? "“I'm 170 centimeters ." She is as tall as I am. A grown‐up giraffe may be the tallest animal on earth. She's tall and thin with light brown hair. From Middle English tall, talle, tal (“seemly, becoming, handsome, good-looking, excellent, good, valiant, lively in speech, bold, great, large, big”), from 古期英語 *tæl, ġetæl (“swift, ready, having mastery of”), from Proto-Germanic *talaz (“submissive, pliable, obedient”), from Proto-Indo-European *dol-, *del- (“to aim, calculate, adjust, reckon”). Cognate with Scots tal (“high, lofty, tall”), Old Frisian tel (“swift”), Old Saxon gital (“quick”), Old High German gizal (“active, agile”), Gothic 𐌿𐌽𐍄𐌰𐌻𐍃 (untals, “indocile, disobedient”). 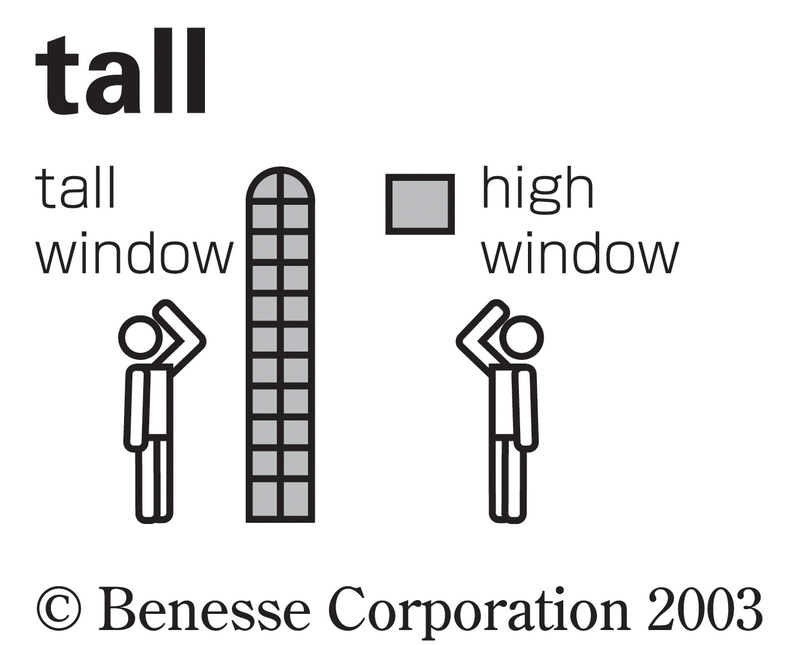 Being tall is an advantage in basketball. (of a building, etc.) 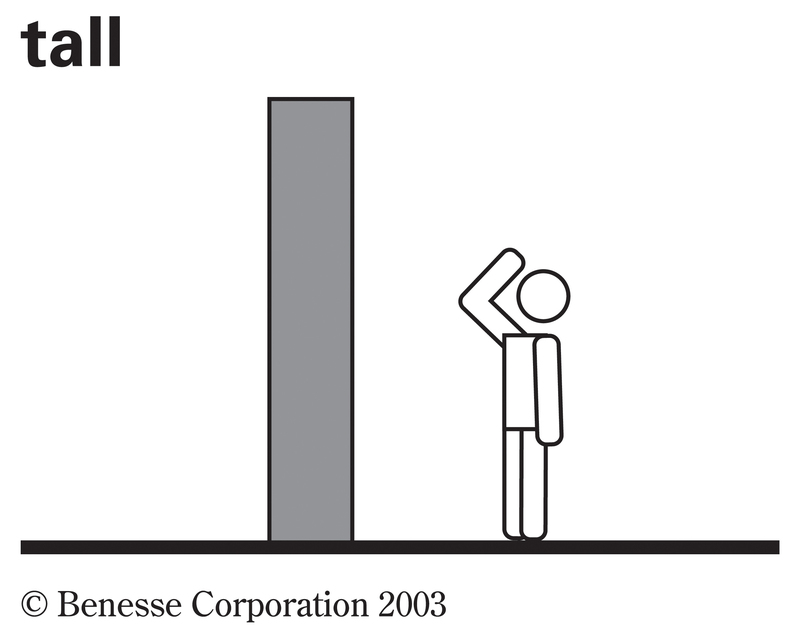 Having its top a long way up; having a great vertical (かつ often greater than horizontal) extent; high. But in the second generation of hybrids (from seed of the first) talls and dwarfs were both present, and in the proportion of twelve talls to four dwarfs. The industries that best accommodate talls are those that have faced personal injury lawsuits. Fremantle remains unsure about the status a pair of key talls ahead of a defining clash with Adelaide at Optus Stadium.